On the 30th of June, 2013, I decided that I would start writing fiction every day. I haven’t missed a day since. The goal of starting the streak was to help motivate me to keep writing, even on days when Ethel the Muse was absent or the whole idea of writing seemed like a colossal waste of time. It worked. There were a couple of close calls, and some very short writing sessions, but overall it’s been relatively painless. During that time I’ve written 725,072 words (510,217 of which were on new writing, 175,076 on revising and 39,779 on outlines). That doesn’t include time spent blogging which is another significant chunk of words. All that writing took up 49 days, 20 hours of my life which actually doesn’t sound that much to me. That’s less than 5% of the total time. Clearly, I’ve been slacking. If I wasn’t writing, I’d probably have frittered that time away. Or maybe watched 1595 episodes of awesome TV. Here’s how those words break down on a monthly basis. (This is calendar month and I started on a random date so the first and last months aren’t a full 31 days). The best month was August 2014 at 33,637. 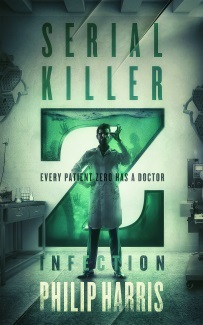 At that point, I was working on an unreleased zombie novel that will finally be released later this year. Looking at the numbers, I’m on track to beat that total in March 2016 – we’ll see. The worst month was fairly recent – November 2015 at 12,839 words and oddly enough, that’s when I was working on the first draft of the sequel to that unreleased zombie novel. That highlights the problem with my streak. It’s a writing streak, not a publishing streak. That’s something I hope to rectify this year. Part of the problem is my desire to make the books as good as I can. That means I make multiple revision passes and run them through multiple editors, copy-editors and proofreaders. All of that takes time but I just wouldn’t be comfortable skipping any of those steps. Whatever other people think of my writing, I need to put out books that I’m proud of. I’m determined to release those almost finished titles though. At the moment, I have at least four books planned for release in the second half of this year. If everything goes according to plan, there’ll be seven (or maybe even eight). Okay, I doubt there’ll be seven (or eight) but if you’re interested in following along, I’m going to be posting progress updates at the end of each month. 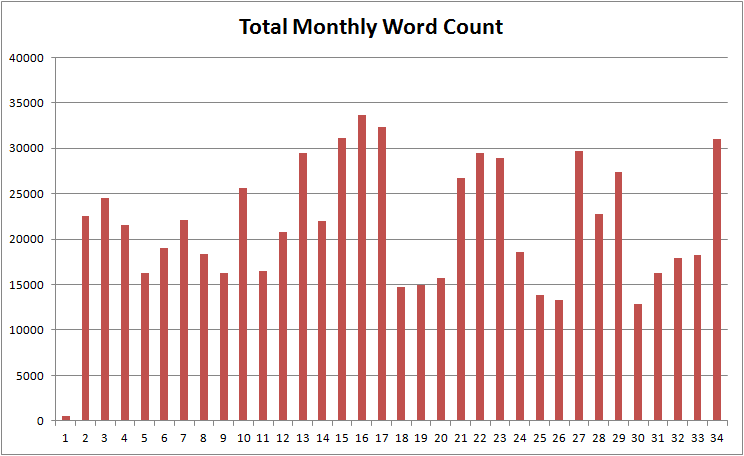 Incidentally, my total word count since records began (in 2008) is 961,761 which is 236,659 “non-streak” words over 5 1/2 years so you can see how much difference the streak has made to my writing productivity. Yes, there are lots of people who write a lot more, but I’m pretty happy with my progress. Here’s to the next 1,000 days.